Established in 1981, Logitech is, in their words, “a world leader in products that connect people to the digital experiences they care about” but boiled down to human-speak they simply make pretty good computer peripheral devices like mice and keyboards with typically good-behaving software. Logitech is based in Lausanne, Switzerland, with headquarters in Newark, CA, as well, and employs over 7,000 people. Today, through a tiny sliver at the top of their home page, Logitech introduced a new identity designed by London-based DesignStudio. Although I’m on vacation and was planning on covering this story on Monday of next week, I had to come online — see xkcd’s “Duty Calls” comic — to set at least one thing straight: Logitech is NOT changing its name to Logi, as reported by a few blogs. 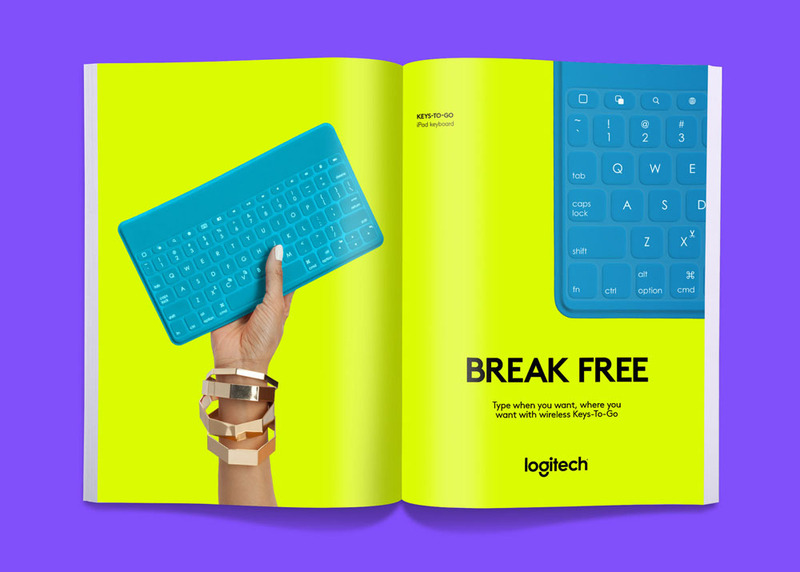 Logitech remains Logitech but will be introducing a new range of products branded as Logi. Perhaps it’s setting a precedent for dropping “tech” in the future but for now, it’s still Logitech. Today Logitech revealed its biggest brand transformation since its founding. Building on its heritage as a leader in peripherals for the PC, Logitech is reinventing itself as a company with design at its core. […] Since 2013, Logitech has been working behind the scenes on reinventing the company, shaking things up culturally and through its product innovation. Its latest products are an outward expression of these changes, and moving forward Logitech is also bringing new life to its brand identity. The logotype nods to Logitech’s 30-year heritage with the use of the Brown Pro typeface, designed by Aurèle Sack from Lausanne, Switzerland, the birthplace of Logitech and still where its EMEA headquarters are based. The logo also takes inspiration from Paul Renner’s experimental sketches for his now classic modernist typeface, ‘Futura’. Logitech’s logo has never held any kind of special place in my heart. The half-moon shape with the squiggle — which apparently was originally an eye — and the bursts is confusing and has no evident meaning. The 2012 change into a single color and another sans serif didn’t improve anything. Cutting all ties to the old identity feels like the right direction to go in and pave the road for something new and different. The new wordmark falls in the current trend of geometric, friendly sans serifs with its defining trademark being the abstracted “g”. It’s catchy, it’s well done, an it’s fairly distinctive, particularly when the wordmark gets broken only into “logi”. Keeping the ear of the “g” helps solve the slight readability issues this might cause with people unfamiliar with the brand. As a way to signal that this is a new Logitech, this logo works perfectly, but it certainly starts to blend in with the numerous other sans serif tech brands in the world. 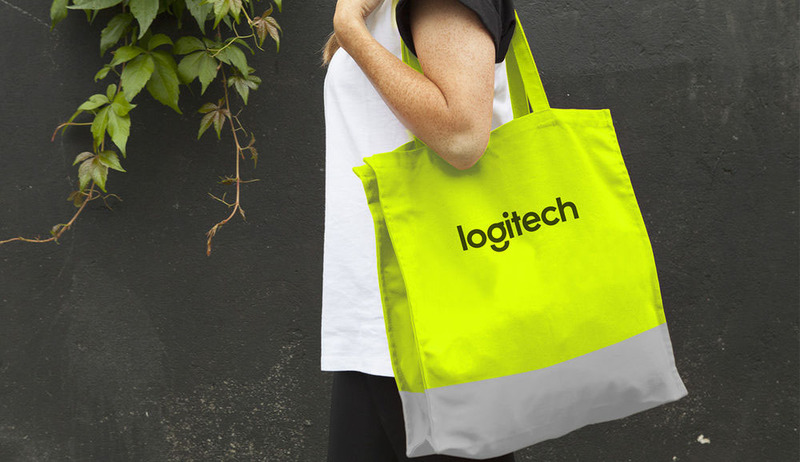 The new logo is flexible as a label for Logitech’s bright new product range — Logi. […] The Logi products of the future are designed for a more youthful audience. An audience that can now see themselves in the imagery we use. Our inspiration for colour came from the clothing people wear today — brighter, more vibrant — with a variety of colours too, rather than a reliance on the old approach of ‘one colour equals the brand’. In application, Logitech starts to look a little like the Microsoft Surface stuff with all the colors and faux youthful attitude — sorry, DesignStudio and Logitech team, I realize you are trying to come across as genuine with your depiction of young, in-the-know, cool people, but it has that unfortunate sheen of trying-too-hard. A secondary sans serif has been introduced that clashes with the geometric strictness of the logo; something a little more distant or close in structure would have worked better. 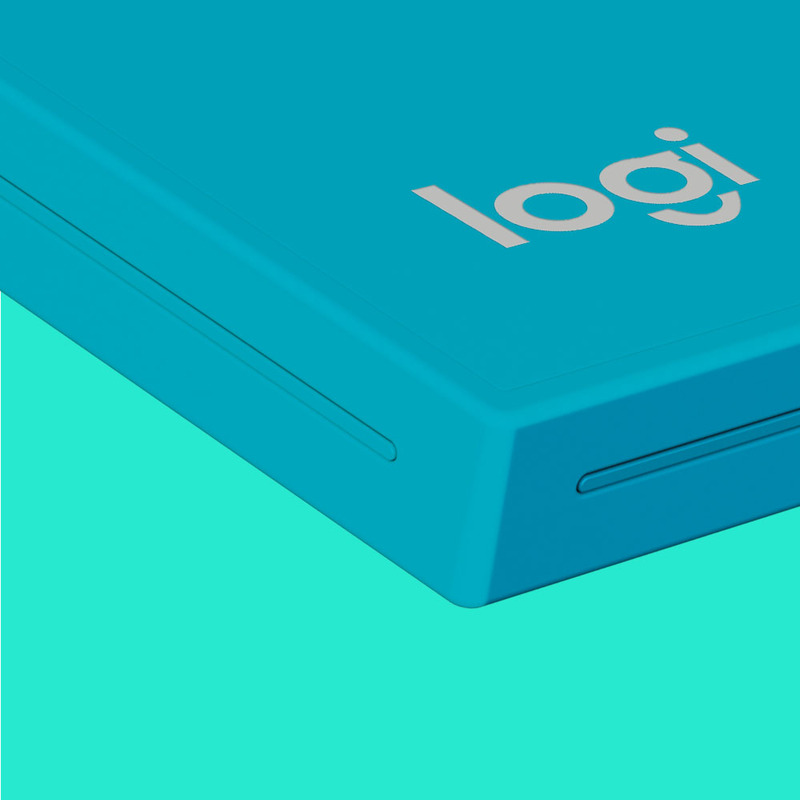 The “logi” logo works great on the products, being short and easily readable. Overall, this is a good change that finally breaks Logitech free from that old logo and allows it to position itself as a lifestyle brand a la Beats, even if they are just selling souped up mouseses. Established in 1981, Logitech is, in their words, \"a world leader in products that connect people to the digital experiences they care about\" but boiled down to human-speak they simply make pretty good computer peripheral devices like mice and keyboards with typically good-behaving software. Logitech is based in Lausanne, Switzerland, with headquarters in Newark, CA, as well, and employs over 7,000 people. Today, through a tiny sliver at the top of their home page, Logitech introduced a new identity designed by London-based DesignStudio.